Set the bar super high with these 4bar envelopes! Not only are they super stylish, but super inexpensive too! So when you're trying to save money but still want your invites to be packaged stylishly, these envelopes are your best bet. Even the word stardream is stylish! Make your envelopes shine bright while still not burning a hole through that wallet of yours. Bordering your invites with these Stardream envelopes will give you a one-up on all of your party going friends. So when they throw a party, they won't even try to compete. The bar will be raised to high heights when you feature these envelopes. Whether you're throwing a fancy wedding or a simple birthday get together, these envelopes will go perfectly! 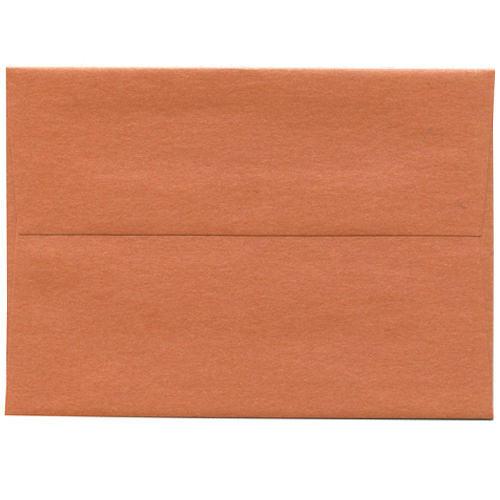 4 Bar Stardeam Closeout Envelopes measure 3 5/8 x 5 1/8 and are sold in packs of 25. We have a variety of discontinued colors on their way out, so hurry up and grab these discounts!